My sister, Christine, called me to see if I could come help her get caught up on her laundry. The fact that she's 7 months pregnant makes it very uncomfortable for her to do it herself. 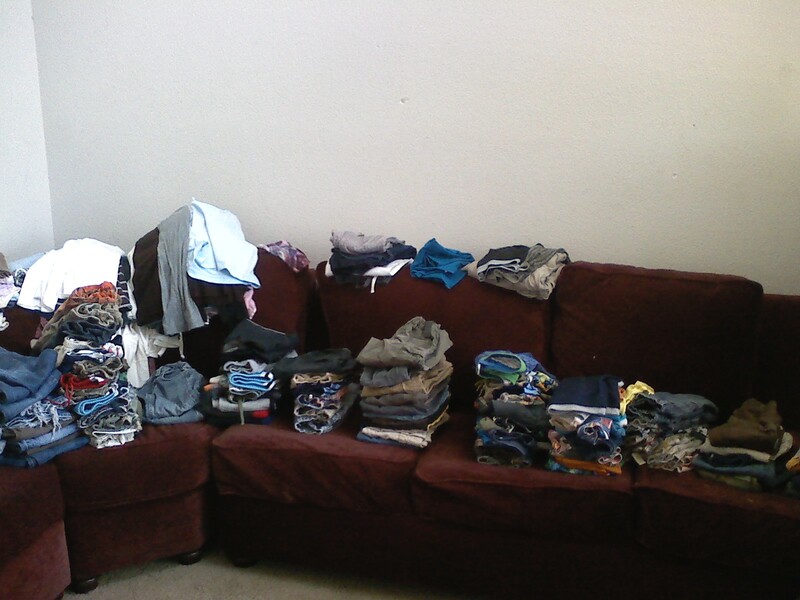 Could you just imagine the mounds of laundry that would come from having 6 kids? 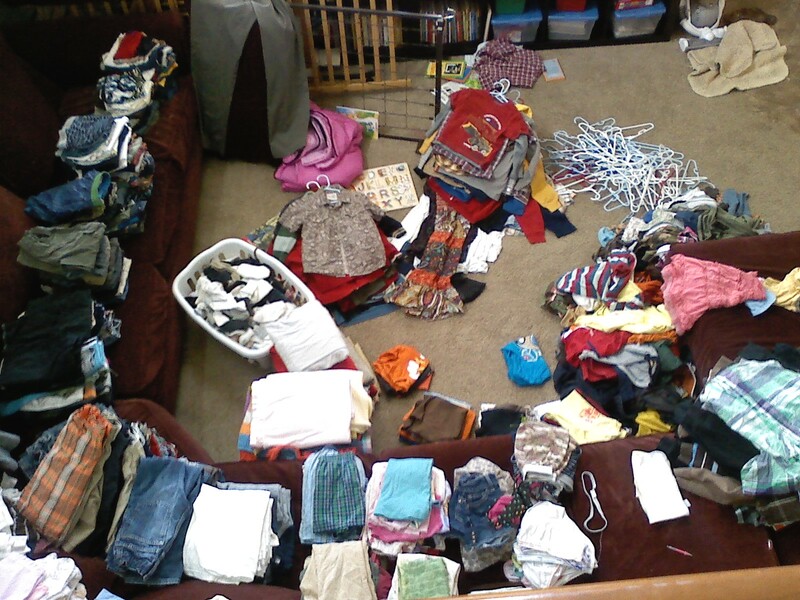 I know how quickly our laundry can pile up with just 2 kids! I didn't hesitate when I told her I'd be there to help. I was happy to help relieve her of the stress the piles of unfolded clothes were causing her. I've always liked folding laundry, although sometimes it gets uncomfortable sitting in an indian style position for hours doing this mundane task. 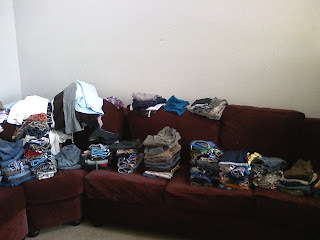 I still think of it as a chore and sometimes the huge piles can look daunting but, for some reason folding laundry is my favorite household chore. Their is something rather soothing to me about it, plus it's a sense of accomplishment having the dressers and closets once again filled with fresh clean clothes. I had a system down to tackle the ginormous pile of unfolded clothes. 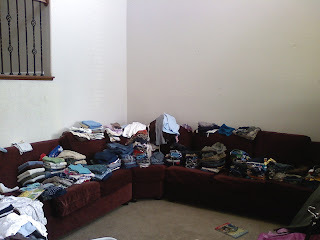 I put all the hang ups in a pile, then all along the couch I would have piles of the folded clothes starting with the oldest child's pants, shorts, pj's, underwear (all in separate piles) then go on to the next child and so on. It made it go along at a much faster pace 'cause that way I knew exactly where Ben's pants would go in the line up! Unfortunately my camera's been on the fritz so I didn't get a picture of the gigantic pile before I started folding, but just imagine about 15 loads of clothes piled up on her sectional! I was fortunate enough to get these! The families ﻿clothes are all neatly put away in their dressers and closets!